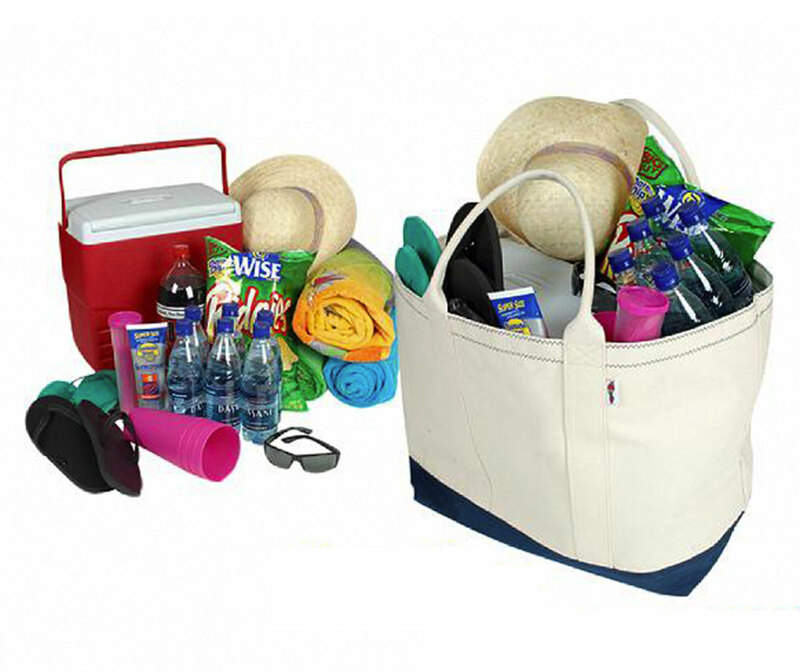 Can't ever find a tote large enough to carry everything you need? Try this heavy-duty hauler. Gigantic size accommodates over 3600 cubic inches of cargo. Constructed of extra heavy-duty 22oz. cotton duck with a super-tough Cordura™ nylon bottom cover. A removable plastic panel drops in the bottom for additional support. All interior seams are serged clean. Top hem has a clean, taped finish. A double row on nautical zig-zag stitching adorns the top hem. 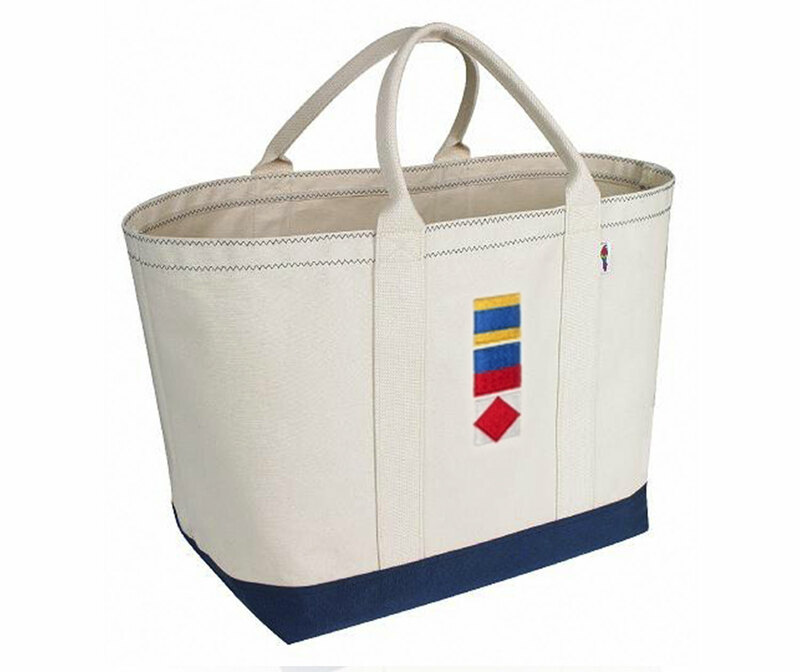 Heavy 2" cotton webbing handles complete this no compromise design. 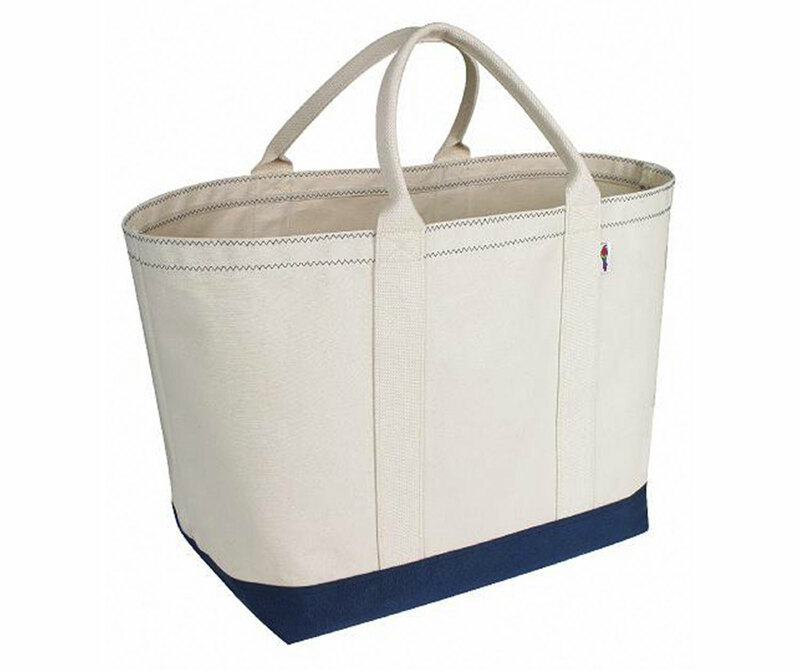 Great tote for hauling groceries and other gear for boating, camping, or beach going.